In my previous post about Soil Library I have talked about adding some new features. 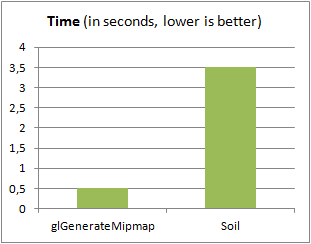 One of them was improving mipmap generation by simply using glGenerateMipmap(EXT) function. In this post I am going to describe changes needed to be made to implement it and gained benefits. To be short: For NPOT sizes I get around 4x faster texture loading and 2x smaller memory consumption. For POT size 2x faster times (no memory difference). Add ability to use glGenerateMipmap in the SOIL library. 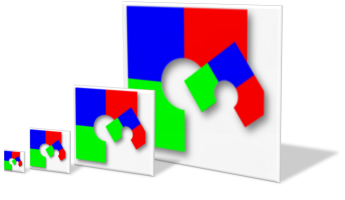 Old functionality - the custom software solution for mipmap generation - will be (and should be) left unchanged. 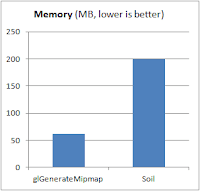 The new generation method can be used when passing new flag called SOIL_FLAG_GL_MIPMAPS. For desktop OpenGL this should be much faster than the original SOIL method. It can be hardware accelerated and it will work for NPOT textures. When using standard SOIL_FLAG_MIPMAPS SOIL rescales image to be POT and then creates mipmaps. All of that happens in custom code - CPU side. Since the lib is small I do not want to introduce GLEW or other extension loading libraries. Extension loading will be done manually. The code will try to find the first one if not then the second function pointer will be obtained. If both test fail then we will use same functionality as SOIL_FLAG_MIPMAPS (fallback). The above example adds function declaration (we can find the proper declaration in the glext.h) and then the actual function pointer. The last line is a function that has to be invoked some time in the code to load and check the extension. This should be done only in the first time. The code is quite simple. It basically checks if our function pointer is available in the system. We could check availability of the extension first but our method should be equally safe. Usually SOIL is called after all OpenGL extension setup so our extension for GL_ARB_framebuffer_object should be already checked. It appears that we cannot assume that wglGetProcAddress returns NULL or a proper pointer. We need to perform more testing (for 1, 2, 3 and -1). 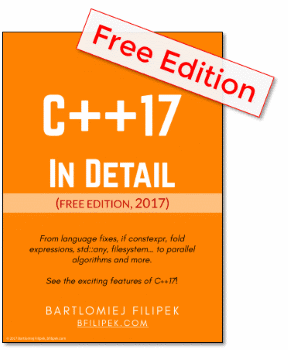 In the introduction I used catchy phrases like "4x speedup" or "2x lower memory consumption". Let me explain where those results may come from. This image will have mipmaps: 270x300, 135x150, 67x75, 33x37, 16x18, 8x9, 4x4, 2x2, 1x1 - 10 levels (including original image). When we use SOIL method, first we need to rescale image to be POT - new size is 1024x1024! This is 3072kb! Mipmaps: 512x512, 256x256, 128x128, 64x64, 32x32, 16x16, 8x8, 4x4, 2x2, 1x1. In total we will have 11 levels! (one more then NPOT). Total memory: around 4095kb! As we see it is even 3x larger than NPOT. The difference is of course bigger when input size is a little bit larger then some POT size. If the input size is only a little bit smaller then some POT size the difference is small. As mentioned before, for POT size there is no difference (no need to scale the texture). The first gain comes from smaller number of pixels to process when we use NPOT textures. The second comes from internal optimization, possibility to use hardware accelerated scaling and lower cost of driver calls (one call to glGenerateMipmap vs several calls to glTexImage). I load one image 50 times and create 50 different texture objects. Those are only brief results and I will describe my perf test in the next post. Although we load textures usually in init phase and thus there is no need to fight for the performance at all cost I think it is important to know that by a simple improvement we can get nice speed-up. It will be significant for scenarios where we dynamically load textures through the game. Or when we load all directory of photos to display them in some gallery. User should see results as soon as possible.